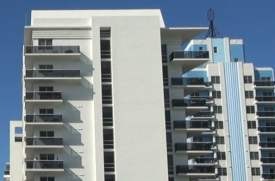 Moreno Valley and Hemet California Condo Association Owners Insurance in Moreno Valley and Hemet California - Aguayo Insurance Solutions, Inc.
Aguayo Insurance Solutions, Inc. understands the risks and decisions that follow finding insurance for your Condo Association. We can explain your options for your condo association or homeowners association insurance packages. We have available the best insurance carriers for your condo association insurance in California to give you the best value for you policy. Our professional agents will explain the many options and features for your condo association insurance policy. We provide condo association insurance in Moreno Valley, California including the Anaheim, Corona, and Riverside areas. Let a professional agent at Aguayo Insurance Solutions, Inc. answer your questions today.